With retirement looming, Charlie Crummer ’59 decided it was time to reinvent himself in his spiritual hometown. It was 2007. He was pushing 70. He and his wife had separated, and he was about to retire. Pages in his life were turning. It was time, he decided, to flip ahead to the next chapter. 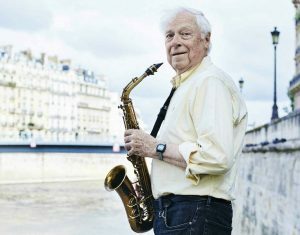 Now, 11 years later, Charlie Crummer ’59, a one-time physicist in Southern California, lives in an apartment on the Île Saint-Louis, a quiet, mostly residential plot of land in the River Seine as it flows through the heart of Paris. He’s an inch or two over six feet tall, his white hair mildly scattered, as Einstein taught us a physicist’s hair ought to be. On the street, he winds a scarf around his neck, which isn’t actually a municipal fashion ordinance in Paris but might as well be. Inside a quiet, simple neighborhood crêperie, he relaxes over lunch as he talks about how the seeds of his move from California to France had pretty much been sown long before he shipped out. About how, really, it all started with a car. But not just any car. 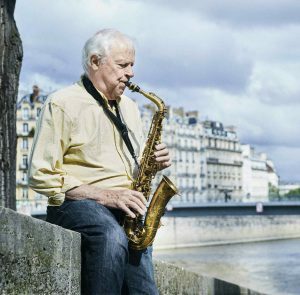 He especially connected with Paris—the soaring churches, the endless art, the streets and squares—but he didn’t go back for more than a quarter-century. When he did return at last, for a short stay in 2004, he found the city’s appeal was still there. He visited again the next year, and the next. It was after his separation in 2006 that he began to think seriously about moving there. Moving—you might say—to his spiritual hometown. The following March 28, Crummer retired from his job as a physics lab manager at UC Santa Cruz. That same day, he was on a plane to Paris. In his first blog post 11 summers ago, he celebrated the city’s parks and alleys and gardens. He responded emotionally to the sound of the great 19th-century organs in the churches of Saint-Sulpice and La Madeleine (“Tears of joy well in my eyes, taking me by surprise. My heart swells in my throat and explodes with the passion of the moment”). He reported briefly on visits to two jazz clubs. In one, a tiny bar (“about 4m by 8m, good beer, not so good sandwiches”), the audience barely outnumbered the performers: There were, in total, three listeners, including Crummer; the band was a tenor sax player and a pianist (“I listen to the sound of six hands clapping as they finish each tune”). 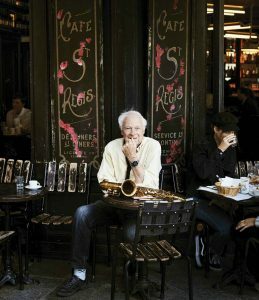 Crummer brought his clarinet and his alto sax to Paris; he left two other horns—a tenor and a baritone sax—behind. “A bari is too big,” he explains. “You can only take so much on a plane.” In a life reboot, wherever you go to, you take some of you along, you leave some of you behind. His occasional blog entries, usually brief, are written at home or, on occasion, sitting on a bench in a park with a laptop and free wi-fi. He mentions musical events ranging from a solo balalaika concert to a quartet playing gypsy jazz in a church. He marvels at Paris architecture. He offers quick opinions on capitalism versus socialism (the way economist Milton Friedman uses them, they’re cartoon-like loaded terms, he argues, and “Life isn’t a cartoon strip”), on oil drilling and oil spilling (“It’s time to just leave things alone down in the deep ocean”), on gun deaths and the NRA (he’s very opposed), and on his kids (he’s very proud). Lately, Crummer has also been guest blogging for a small not-for-profit publisher in San Francisco, which has appointed him its “Paris Bureau Chief.” Since he finds managing the French language an ongoing battle, he schedules weekly one-on-one sessions with a French woman in which they converse for an hour in French and an hour in English. He’s a retiree apparently with no shortage of ways to keep occupied. Considering all the elements of his Paris life, could he return to the States? That may depend on someone who entered his life soon after he arrived in Paris: Christine. The woman was Christine, and as it turned out, she wasn’t trouble at all. Eventually, they took over the apartment she had been looking to rent that day, the apartment on the Île Saint-Louis. The island is just a few hundred yards from the tourist hordes around Notre-Dame Cathedral yet light-years away on the serenity scale. “I’ve been all over the city by now,” Crummer says. “The Île Saint-Louis is the absolute best location I can imagine.